For other uses, see Eight Immortals (disambiguation). The Eight Immortals (Chinese: 八仙; pinyin: Bāxiān; Wade–Giles: Pa¹-hsien¹) are a group of legendary xian ("immortals") in Chinese mythology. Each immortal's power can be transferred to a power tool (法器) that can bestow life or destroy evil. Together, these eight tools are called the "Covert Eight Immortals" (暗八仙). 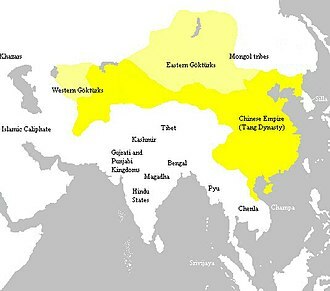 Most of them are said to have been born in the Tang or Shang Dynasty. They are revered by the Taoists and are also a popular element in the secular Chinese culture. They are said to live on a group of five islands in the Bohai Sea, which includes Mount Penglai. In literature before the 1970s, they were sometimes translated as the Eight Genies. 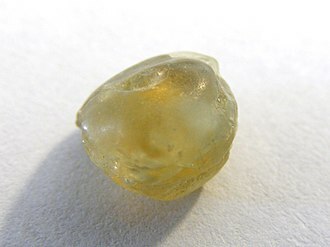 First described in the Yuan Dynasty, they were probably named after the Eight Immortal Scholars of the Han. The tradition of depicting humans who have become immortals is an ancient practice in Chinese art, and when religious Taoism gained popularity, it quickly picked up this tradition with its own immortals. While cults dedicated to various Taoist immortals date back to the Han dynasty, the popular and well-known Eight Immortals first appeared in the Jin dynasty. The art of the Jin tombs of the 12th and 13th centuries depicts a group of eight Taoist immortals in wall murals and sculptures. They officially became known as the Eight Immortals in the writings and works of art of the Taoist group known as the Complete Realization (Quanshen). The most famous art depiction of the Eight Immortals from this period is a mural of them in the Eternal Joy Temple (Yongle Gong) at Ruicheng. The Eight Immortals are considered to be signs of prosperity and longevity, so they are popular themes in ancient and medieval art. They were frequent adornments on celadon vases. They were also common in sculptures owned by the nobility. Their most common appearance, however, was in paintings. Many silk paintings, wall murals, and wood block prints remain of the Eight Immortals. They were often depicted either together in one group, or alone to give more homage to that specific immortal. An interesting feature of early Eight Immortal artwork is that they are often accompanied by jade hand maidens, commonly depicted servants of the higher ranked deities, or other images showing great spiritual power. This shows that early on, the Eight Immortals quickly became eminent figures of the Taoist religion and had great importance. We can see this importance is only heightened in the Ming and Qing dynasties. During these dynasties, the Eight Immortals were very frequently associated with other prominent spiritual deities in artwork. 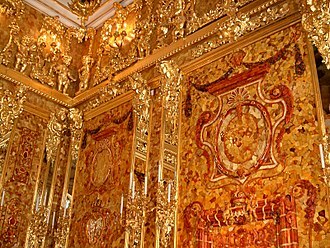 There are numerous paintings with them and the Three Stars (the gods of longevity, prosperity, and good fortune) together. Also, other deities of importance, such as the Queen Mother of the West, are commonly seen in the company of the Eight Immortals. The artwork of the Eight Immortals is not limited to paintings or other visual arts. They are quite prominent in written works too. Authors and playwrights wrote numerous stories and plays on the Eight Immortals. One famous story that has been rewritten many times and turned into several plays (the most famous written by Mu Zhiyuan in the Yuan Dynasty) is The Yellow-Millet Dream, which is the story of how Lǚ Dòngbīn met Zhongli Quan and began his path to immortality. The Eight Immortals crossing the sea, from Myths and Legends of China. Clockwise in the boat starting from the stern: He Xian'gu, Han Xiang Zi, Lan Caihe, Li Tieguai, Lü Dongbin, Zhongli Quan, Cao Guojiu and outside the boat is Zhang Guo Lao. The most significant is The Eight Immortals Depart and Travel to the East (八仙出處東遊記 bā xiān chū chù dōng yoú jì) by Wu Yuantai (吳元泰 wú yuán taì) in the Ming Dynasty. There is another work, also made during the Ming (c. 14th-15th centuries), by an anonymous writer, called The Eight Immortals Cross the Sea (八仙過海 bā xiān guò hǎi). It is about the Immortals on their way to attend the Conference of the Magical Peach (蟠桃會 pán taó huì) when they encounter an ocean. Instead of relying on their clouds to get them across, Lü Dongbin suggested that they each should exercise their unique powers to get across. Derived from this, the Chinese proverb "The Eight Immortals cross the sea, each reveals its divine powers" (八仙過海，各顯神通 ~, gè xiǎn shén tōng) indicates the situation that everybody shows off their skills and expertise to achieve a common goal. Furthermore, they have been linked to the initial development of qigong exercises such as the Eight Piece Brocade. There are some Chinese martial arts styles named after them, which use fighting techniques that are attributed to the characteristics of each immortal. Some drunken boxing styles make extensive use of the Eight Immortals archetypes for conditioning, qigong/meditation and combat training. One subsection of BaYingQuan drunken fist training includes methodologies for each of the eight immortals. Established in the Song Dynasty, the Xi'an temple Eight Immortals Palace (八仙宮), formerly Eight Immortals Nunnery (八仙庵), is where statues of the Immortals can be found in the Hall of Eight Immortals (八仙殿). There are many other shrines dedicated to them throughout China and Taiwan. In Singapore, the Xian'gu Temple (仙姑殿) has the Immortal Woman He from the group as its focus of devotion. Diorama at Haw Par Villa, Singapore, depicting the battle between the Eight Immortals and the forces of the Dragon King of the East Sea. 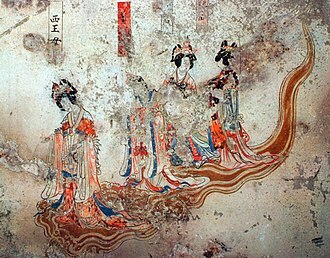 In modern China, the Eight Immortals are still a popular theme in artwork. Paintings, pottery, and statues are still common in households across China and are even gaining some popularity worldwide. Several movies about the Eight Immortals have been produced in China in recent years. In Jackie Chan's movie Drunken Master, there are eight "drunken" Chinese martial arts forms that are said to be originated from the Eight Immortals. 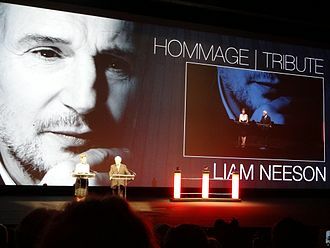 At first, the protagonist did not want to learn the Immortal Woman He form because he saw it as a feminine form, but he eventually created his own version of that form. The 1998–99 Singaporean television series Legend of the Eight Immortals was based on stories of the Eight Immortals and adapted from the novel Dong You Ji. The Eight Immortals play an important part in the plot of the video game Fear Effect 2. In the Andy Seto graphic novel series Saint Legend, the Eight Immortals reappear to protect the Buddhist faith from evil spirits set on destroying it. In the X-Men comic book, the Eight Immortals appear to protect China along with the Collective Man when the mutant Xorn caused a massacre in one small village. In the Immortal Iron Fist comic book, there are seven supreme kung fu practitioners, called the Seven Immortal Weapons. They each hail from other-dimensional cities and must fight for their city's chance to appear on Earth. Aside from being named the "Immortal" Weapons, the most overt reference to the Eight Immortals is that one Immortal Weapon, Fat Cobra, hails from and represents a city called "Peng Lai Island". In the roleplaying game Feng Shui, the Eight Immortals appear in the sourcebook Thorns of the Lotus. The Eight Immortals played a role in the animated show Jackie Chan Adventures. In the show, the Immortals were said to be the ones who defeated the Eight Demon Sorcerers and sealed them away in the netherworld using items that symbolized their powers. They then crafted the Pan'ku box as a key to opening the portals that lead into the demons' prison. Later on in the series, the items the Immortals used to seal away the demons the first time are revealed to have absorbed some of the demons' chi and become the targets of Drago, the son of Shendu (one of the Demon Sorcerers), to enhance his own powers. In The Forbidden Kingdom, Jackie Chan plays the character Lu Yan, who is supposed to be one of the Eight Immortals, as revealed by the director in the movie's special feature, The Monkey King and The Eight Immortals. In the Tales of the Dragon expansion for Age of Mythology, the Eight Immortals are hero units for the Chinese. ^ Olson, Stuart Alve (2002). Qigong Teachings of a Taoist Immortal: The Eight Essential Exercises of Master Li Ching-Yun. Bear & Company. ISBN 0-89281-945-6. ^ Leung, TingAlve (July 2000). The Drunkard Kung Fu and Its Application. Leung Ting Co. ISBN 962-7284-08-4. Lai, T. C., The Eight Immortals (Swindon Book Co., 1972). Wikimedia Commons has media related to Eight Immortals. He is known as Zhang Daoling, Celestial Master Zhang, Ancestral Celestial Master or Zhengyi Zhenren to Taoists. Zhang is sometimes pictured riding on a tiger, in some Taoist sects, along with Ge Xuan, Xu Xun and Sa Shoujian, are called the Four Celestial Masters. The details of the life of the historical figure Zhang Ling are obscure, most of the information about him comes from scripture, according to these, Zhang traced his ancestral home to Feng County and was said to be a descendant of Zhang Liang. He was born in the year of the Jianwu era during the reign of Emperor Guangwu of Han. He started reading the Tao Te Ching at a young age and he served as a magistrate in Jiangzhou, Ba Commandery during the reign of Emperor Ming of Han. Zhang retired and led a life at Mount Beimang. When invited to serve as a boshi in the Imperial Academy, Emperor He of Han summoned him thrice to serve as the Taifu but he refused again. Zhang endeavored to reform supposedly degenerate religious practices, a major change instituted by the new Covenant was the rejection of food and animal sacrifices. Laozi was an ancient Chinese philosopher and writer. He is known as the author of the Tao Te Ching and the founder of philosophical Taoism. A central figure in Chinese culture, Laozi is claimed by both the emperors of the Tang dynasty and modern people of the Li surname as a founder of their lineage, Laozis work has been embraced by various anti-authoritarian movements as well as Chinese legalism. In traditional accounts, Laozis personal name is given as Li Er. A prominent posthumous name was Li Dan, Laozi itself is an honorific title, 老 and 子. It is usually pronounced /ˌlaʊˈdzʌ/ in English and it has been romanized numerous ways, sometimes leading to confusion. The most common present form is Laozi or Lǎozǐ, based on the Hanyu Pinyin system adopted by Mainland China in 1958, during the 20th century, Lao-tzu was more common, based on the formerly prevalent Wade–Giles system. In the 19th century, the title was romanized as Lao-tse. Other forms include the variants Lao-tze and Lao-tsu, as a religious figure, he is worshipped under the name Supreme Old Lord and as one of the Three Pure Ones. During the Tang Dynasty, he was granted the title Supremely Mysterious, the earliest certain reference to the present figure of Laozi is found in the 1st-century BCE Records of the Grand Historian collected by the historian Sima Qian from earlier accounts. In one account, Laozi was said to be a contemporary of Confucius during the 6th or 5th century BCE and his surname was Li and his personal name was Er or Dan. He was an official in the archives and wrote a book in two parts before departing to the west. In another, Laozi was a different contemporary of Confucius titled Lao Laizi, in a third, he was the court astrologer Lao Dan who lived during the 4th century BCE reign of Duke Xian of the Qin Dynasty. The oldest text of the Tao Te Ching so far recovered was written on bamboo slips, according to traditional accounts, Laozi was a scholar who worked as the Keeper of the Archives for the royal court of Zhou. This reportedly allowed him access to the works of the Yellow Emperor. The stories assert that Laozi never opened a school but nonetheless attracted a large number of students. The Queen Mother of the West, known by various local names, is a goddess in Chinese religion and mythology, worshipped in neighbouring Asian countries, and attested from ancient times. The first historical information on her can be traced back to oracle bone inscriptions of the fifteenth century BC that record sacrifices to a Western Mother, even though these inscriptions illustrate that she predates organized Taoism, she is most often associated with Taoism. From her name alone some of her most important characteristics are revealed, she is royal, Queen Mother of the West is the literal translation of Xiwangmu in Chinese sources, Seiōbo in Japan, and Seowangmo in Korea, and Tây Vương Mẫu in Vietnam. She has numerous titles, one of the most popular being the Golden Mother of the Nacre Lake and she is known in contemporary sources as the Lady Queen Mother. In the Maternist current of Chinese salvationist religions she is the deity and is called upon as the Eternal Venerable Mother. Commoners and poets of the era referred to her simply as the Queen Mother. 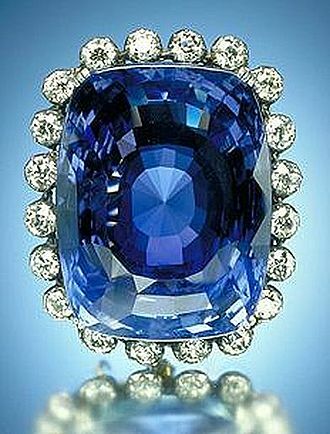 The first mentions of the Queen Mother date back to the oracle bone inscriptions of the Shang dynasty, one inscription reads, Crack-making on day IX,9 day, we divined. If we make offering to the mother and the western mother. 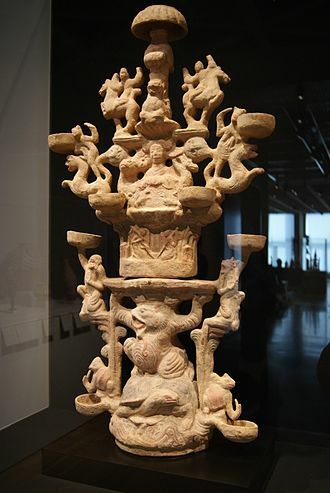 Western Mother refers to an archaic divinity residing in the west, the exact nature of the Mother divinities in the Shang dynasty is unclear, but they were seen as powerful forces deserving of ritual by the people of the Shang dynasty. After she was adopted into the Taoist pantheon, she was transformed into the goddess of life and immortality. One of the earliest written references to the Queen Mother comes from the writings of the Taoist writer Zhuangzi, no one knows her beginning, no one knows her end. Zhuangzi describes the Queen Mother as one of the highest of the deities, meaning she had gained immortality, Zhuangzi states that Xiwangmu is seated upon a spiritual western mountain range, suggesting she is connected to not only the heavens, but to the west. During the Tang dynasty poetry flourished throughout China and it was during this period that the Queen Mother became an extremely popular figure in poetry. Zhengyi Dao or the Way of Orthodox Unity is a Chinese Daoist movement that emerged during the Tang dynasty as a transformation of the earlier Tianshi Dao movement. Like Tianshi Dao, the leader of Zhengyi Daoism was known as the Celestial Master, Emperor Xuanzong canonized the first Celestial Master Zhang Daoling during his reign. This did not benefit the original territory of his followers in Sichuan and this temple, located at Mount Longhu, claimed to be the spot where Zhang Daoling had obtained the Tao, and where his descendants still lived. Recognized by the emperor as the descendants of Zhang Daoling. The importance of the Zhengyi school grew during the Song dynasty, in 1239, the Southern Song dynastys Emperor Lizong commanded the 35th Celestial Master Zhang Keda to the united Lingbao School, the Shangqing School and Zhengyi Dao. The new school was to retain the Zhengyi name and remain based at Mount Longhu, shortly after the schools were united, the Mongols under Kublai Khan conquered the Southern Song dynasty and established the Yuan dynasty in China. He accepted the claim that the Celestial Master of Mount Longhu was descended from Zhang Daoling, the founding of the Ming dynasty in 1368 marked the beginning of a long decline in the power of the Zhengyi Daoism. By the Daoguang period of the Qing dynasty, relations between the court and the Celestial Masters came to an end, the schools activities became localized to regions in which the school was particularly important. Despite ending association with the court, the Celestial Master himself still retained a great deal of prestige and this prestige, which arose from the belief that he was descended from Zhang Daoling, was evident when the Celestial Master traveled and attracted crowds of people wherever he went. Unlike prior incarnations of the Celestial Masters, like the school based at Louguan, instead, he was viewed as the ancestor of the schools teaching. During the Tang dynasty, the activity of Zhengyi Daoists was to sell protective talismans. Local cults developed around the sale of these talismans, and around guilds, one of the fundamental practices of the school was conferring registers upon people entering Daoism. A register was a way to allow that the Daoist tradition passed on to future generations by ensuring those who received them had a knowledge of the schools teachings. Registers had the names of deities written on them who could be called upon by the bearer to assist in times of need, once one received a register, they were considered to be part of the priesthood. There were different grades of registers for laypeople with differing levels of religious knowledge, the Celestial Masters adopted the Thunder Rites during the last two decades of the Northern Song dynasty. The Five Thunders variety appeared earlier and was linked with the Celestial Masters, there are two main types of rituals performed by the Zhengyi Daoists the jiao and zhai rituals. 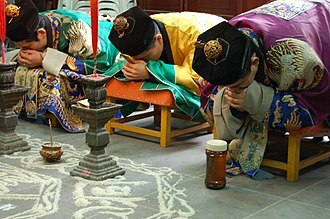 The zhai ritual is performed as a way to gain benefits through purification and abstinence, in performing a ritual, an adherent must first recite a litany of repentance, notify the deities of the merits gained though repentance by submitting a document to heaven. Yao folk religion is the ethnic religion of the Yao people, a non-Sinitic ethnic group who reside in the Guangxi and surrounding provinces of China. Their religion is profoundly intermingled with Taoism since the 13th century, in the 1980s it was found that the Yao clearly identified with the Chinese-language Taoist theological literature, seen as a prestigious statute of culture. Yao folk religion was described by a Chinese scholar of the half of the 20th century as an example of deep Taoisation, a shared sense of Yao identity is based additionally on tracing their descent from the mythical ancestor Panhu. Although the Yao are speakers of non-Sinitic Mienic languages, their Taoist liturgical tradition is in Chinese language, in Yao religion all adult males are initiated to some degree into the Taoist clergy. The tsow say ong are high priests who perform rites for the gods of the pantheon. The Yao folk religion otherwise retains a class of priests or shamans, the sip mien. The Sai nzung sou is the book of ceremonies for inviting the mienv zoux ziouv, the mienv morh are instead angry spirits who cause sickness and tragedy. The Shang dynasty or Yin dynasty, according to traditional historiography, ruled in the Yellow River valley in the second millennium BC, succeeding the Xia dynasty and followed by the Zhou dynasty. The classic account of the Shang comes from such as the Book of Documents, Bamboo Annals. The Xia–Shang–Zhou Chronology Project dated them from c.1600 to 1046 BC, the Shang dynasty is the earliest dynasty of traditional Chinese history supported by archaeological evidence. Tens of thousands of bronze, stone, the Anyang site has yielded the earliest known body of Chinese writing, mostly divinations inscribed on oracle bones – turtle shells, ox scapulae, or other bones. More than 20,000 were discovered in the scientific excavations during the 1920s and 1930s. The inscriptions provide critical insight into many topics from the politics, many events concerning the Shang dynasty are mentioned in various Chinese classics, including the Book of Documents, the Mencius and the Zuo Zhuan. Working from all the documents, the Han dynasty historian Sima Qian assembled a sequential account of the Shang dynasty as part of his Records of the Grand Historian. His history describes some events in detail, while in other cases only the name of a king is given, a closely related, but slightly different, account is given by the Bamboo Annals. The Annals were interred in 296 BC, but the text has a complex history, the name Yīn is used by Sima Qian for the dynasty, and in the current text version of the Bamboo Annals for both the dynasty and its final capital. It has been a name for the Shang throughout history. Since the Records of Emperors and Kings by Huangfu Mi, it has often used specifically to describe the half of the Shang dynasty. In Japan and Korea, the Shang are still referred to almost exclusively as the Yin dynasty, however it seems to have been a Zhou name for the earlier dynasty. The word does not appear in the bones, which refer to the state as Shāng. It does not appear in securely-dated Western Zhou bronze inscriptions, xie is said to have helped Yu the Great to control the Great Flood and for his service to have been granted a place called Shang as a fief. It is believed the Xiuzhen Tu is such a cultivation map. In China, it is an important form of practice for most schools of Taoism, the Chinese compound nèidān combines the common word nèi 內 meaning inside, internal with dān 丹 cinnabar, elixir, alchemy. The antonym of nèi is wài 外 outside, external, Chinese alchemical texts and sources ordinarily call neidan the jīndān dào 金丹道 or Way of the Golden Elixir. In Modern Standard Chinese usage, the term nèidān shù 內丹術 refers generally to internal alchemical practices, the date for the earliest use of the term neidan is uncertain. I pray that all the saints and sages will come to my help, so that I may get some good magic mushrooms, in this way I shall be able to practice continually the way of the Sutras and to engage in the several forms of meditations. I shall hope to find a peaceful dwelling in the depths of the mountains, with enough numinous elixirs, thus by the aids of external elixirs I shall be able to cultivate the elixir within. Others believed that neidan first occurred in the biographies of Deng Yuzhi鄧郁之, the authenticity of the relevant passages in these pseudo-historical sources is doubtful. Tang texts described internal alchemical practices with the words fúyào 服藥 take drug/medicine and chángshēng 長生 long life, liu Xiyues 劉希岳988 Taixuan langranzi jindao shi 太玄朗然子進道詩 has the earliest dateable mention of the terms neidan and waidan. The c.1019 Yunji Qiqian Daoist anthology mentions the term neidan, Neidan is part of the Chinese alchemical meditative tradition that is said to have been separated into internal and external at some point during the Tang dynasty. 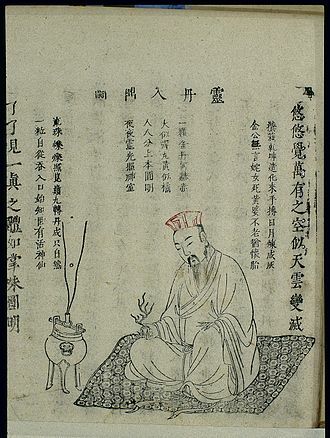 The Cantong qi is the earliest known book on alchemy in China. This text influenced the formation of Neidan, whose earliest existing texts date from the first half of the 8th century, the authors of several Neidan articles refer to their teachings as the Way of the Golden Elixir. The majority of Chinese alchemical sources is found in the Daozang, Neidan shares a significant portion of its notions and methods with classical Chinese medicine and with other bodies of practices, such as meditation and the methods for nourishing life. In traditional Chinese culture, qì or chi is an active principle forming part of any living thing. Qi literally translates as breath, air, or gas, and figuratively as material energy, life force, Qi is the central underlying principle in traditional Chinese medicine and martial arts. Some elements of the concept of qi can be found in the energy when used in the context of various esoteric forms of spirituality. Notions in the West of energeia, élan vital, or vitalism are purported to be similar, despite widespread belief in the reality of qi, it is a non-scientific, unverifiable concept. The logograph 氣 is read with two Chinese pronunciations, the usual qì 氣 air, vital energy and the rare archaic xì 氣 to present food, pronunciations of 氣 in Sino-Xenic borrowings include, Japanese language ki, Korean language gi, and Vietnamese language khi. Reconstructions of the Middle Chinese pronunciation of 氣, standardized to IPA transcription, include, /kʰe̯iH/, /kʰĭəiH/, /kʰiəiH/, /kʰɨjH/, reconstructions of the Old Chinese pronunciation of 氣, standardized to IPA transcription, include, /*kʰɯds/, and /*C. qʰəp-s/. In addition, qì 炁 is an uncommon character especially used in writing Daoist talismans, the word qì was generally written as 气 until the Han dynasty, when it was replaced by the 氣 graph clarified with mǐ 米 rice indicating steam. These oracle and seal scripts graphs for qì 气 air, etc. were anciently used as a loan character to write qǐ 乞 plead for, ask. The regular script character qì 氣 is unusual because qì 气 is both the air radical and the phonetic, with mǐ 米 rice semantically indicating steam, vapor. This qì 气 air/gas radical, which was used in a few native Chinese characters like yīnyūn 氤氲 thick mist/smoke, was used to create new scientific characters for gaseous chemical elements. Some examples are based on pronunciations in European languages, fú 氟 fluorine and nǎi 氖 neon, others are based on semantics, qīng 氫 hydrogen and lǜ 氯 chlorine. Qi was an early Chinese loanword in English, romanized as, ki in Church Romanization in the century, chi in Wade–Giles in the mid-19th century. An early form of the idea comes from the writings of the Chinese philosopher Mencius, the Huangdi Neijing/The Yellow Emperors Classic of Medicine is credited with first establishing the pathways through which qi circulates in the human body. 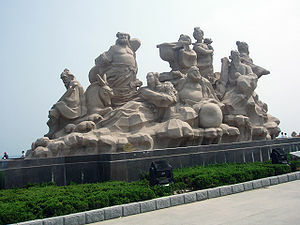 Penglai is a legendary land of Chinese mythology. It is known in Japanese mythology as Hōrai, various theories have been offered over the years as to the real location of these places, including Japan, Jejudo south of the Korean Peninsula, and Taiwan. Penglai, Shandong exists, but its connection is as the site of departures for those leaving for the island rather than the island itself. In Chinese mythology, the mountain is said to be the base for the Eight Immortals, or at least where they travel to have a banquet. Supposedly, everything on the mountain seems white, while its palaces are made from gold and platinum, Qin Shi Huang, in search of the elixir of life, made several attempts to find the island where the mountain is located, to no avail. Legends tell that Xu Fu, one servant sent to find the island, found Japan instead, the presentation of Mt. Hōrai in Lafcadio Hearns Kwaidan and Studies of Strange Things, is somewhat different from the earlier idyllic Chinese myth. This version, which does not truly represent the Japanese views of Horai in the Meiji and preceding Tokugawa periods, rejects much of the fantastic, in this version of the myth, Hōrai is not free from sorrow or death, and the winters are bitterly cold. Chinese de 德 is an ancient and linguistically complex word. The following analyzes it in terms of semantics, the Hanyu Da Zidian, defines twenty meanings for de 德, translatable as Rise, go up, ascend. Morals, virtue, personal conduct, moral integrity, denoting a wise/enlightened person with moral character. Benevolent rule, good government, good instruction, nature, basic character, attribute. For example, Be of one heart and mind, in Five Phases theory, a reference to seasonally productive energy/air. First growth, initial stage, beginning of something, good fortune, resulting from benevolent actions. Used for zhí to plant, establish, used for get, result in. An abbreviation for the Republic of Germany during World War II, another name for the Yellow River. This dictionary provides early usage examples, and all of these de meanings occur in Han or pre-Han Chinese classic texts, translating de into English is problematic and controversial. Arthur Waley believed that de was better translated power than virtue and it is usually translated virtue, and this often seems to work quite well, though where the word occurs in early, pre-moralistic texts such a translation is in reality quite false. But if we study the usage of the word carefully we find that de can be bad as well as good, clearly virtue is not a satisfactory equivalent. Te is anything that happens to one or that one does of a kind indicating that, as a consequence and it means, so to speak, the stock of credit that at any given moment a man has at the bank of fortune. Such a stock is of course built up partly by the carrying out of ritual. Based on the relation between de and zhi to plant, Waley further noted the early Chinese regarded planting seeds as a de, hence it means a latent power. The linguist Peter A. Boodberg investigated the semantics and etymology of de 德 and they find, therefore, no quarrel with rendering tê, almost invariably, as virtue. Philologists are, troubled by the absence in the Chinese term of any connotations reminiscent of the Latin etymon vir, such as manliness, other recommended translation, such as energy and essential quality, seem inadequate from the etymological point of view. Of these, the last is by far the most frequently encountered, unfortunately, it is probably the least appropriate of all to serve as an accurate translation of te in the Tao Te Ching. A mural of Guan Yu's "Riding Alone for Thousands of Miles" (千里走單騎) in the Summer Palace, Beijing. Portrait of Guan Yu (behind) from a Qing dynasty edition of Romance of the Three Kingdoms. Thni Kong Tnua in Air Itam, Penang, Malaysia was specifically built in honour of the Jade Emperor. 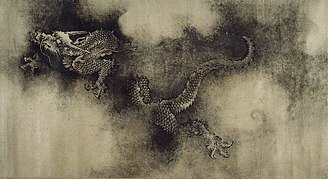 "Nine Dragons" handscroll section, by Chen Rong, 1244 CE, Chinese Song dynasty, Museum of Fine Arts, Boston, US. Bronze mirror with cosmological decoration from the Belitung shipwreck, including Bagua. A monk of the Quanzhen school of Mount Tai, in Shandong. Taiping dajiao ritual based on the Taipingjing performed at a Tianhou temple in Hong Kong. Taoist ritual in Fanling Wai. A rite to worship the Jade Emperor at the Qinciyangdian, the focal temple of the Zhengyi school in Shanghai. "The Eight Immortals Crossing the Sea"
Tablet in the Temple of Heaven of Beijing, written in Chinese and Manchu, dedicated to the gods of the Five Movements. 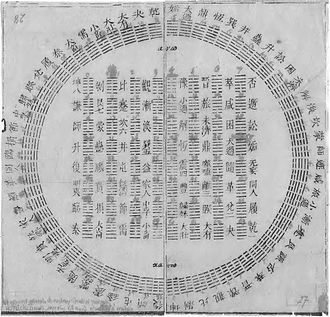 The Manchu word usiha, meaning "star", explains that this tablet is dedicated to the five planets: Jupiter, Mars, Saturn, Venus and Mercury and the movements which they govern. Diagram of the interactions between the Wu Xing. The "generative" cycle is illustrated by grey arrows running clockwise on the outside of the circle, while the "destructive" or "conquering" cycle is represented by red arrows inside the circle. 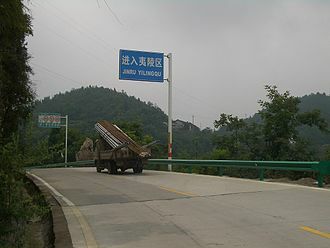 The Hanzhong valley, the location of the Celestial Masters' state.